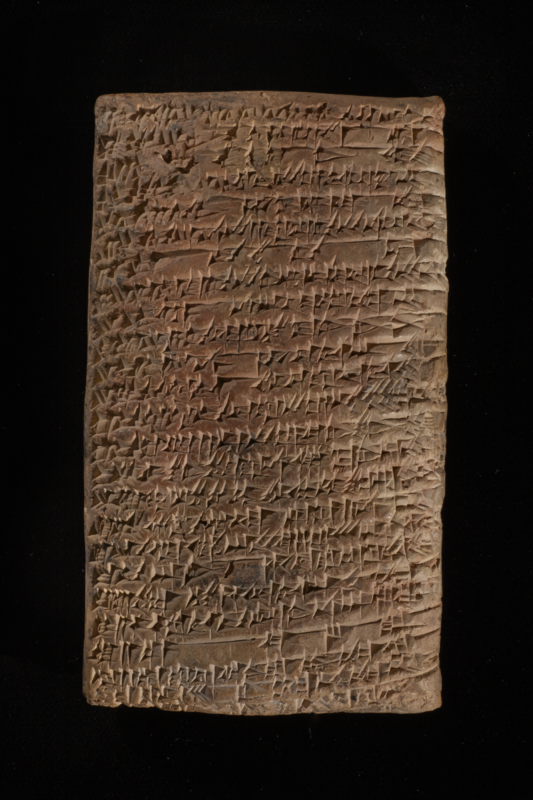 The holdings of the Yale Babylonian Collection cover virtually every textual genre, type, and period of ancient Mesopotamia. 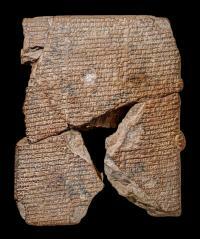 The artifacts range from the mid-fourth millennium BC up to the early Christian Era. 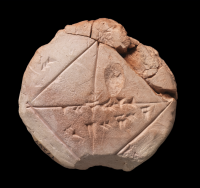 The bulk of objects are texts inscribed on tablets, cones, prisms, and other objects made of clay and other materials. 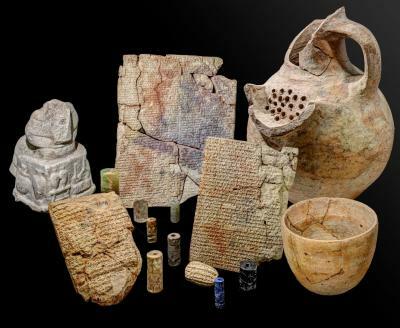 These inscriptions include commemorative texts and royal inscriptions, scholarly treatises, literature, letters and business documents, administrative accounts, inscribed seals, and many more, written in Sumerian, Akkadian, and Hittite. Some of its highlights are a mathematical school tablet (YBC 7289, left), which approximates the square root of 2, which belongs to a large corpus of mathematical texts in the collection. 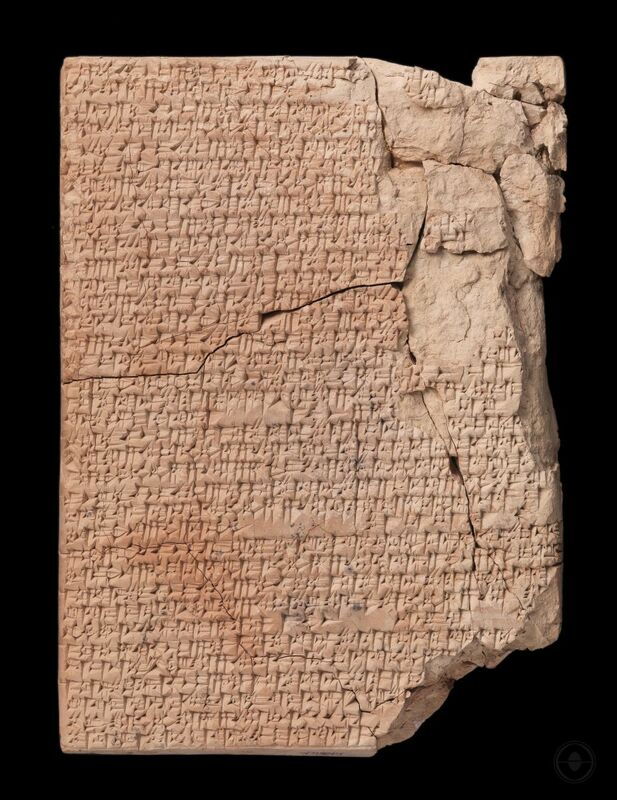 Among the literature housed in the Yale Babylonian Collection is the Old Babylonian Epic of Gilgamesh dealing with the preparations of Gilgamesh and his companion Enkidu to go to the Cedar Forest and slay the monster Huwawa (also known as Humbaba). Among its particular treasures are tablets of the Epic of Gilgamesh and other epic narratives, a group of the world’s oldest recipes, a large corpus of magic spells and mathematical texts, royal correspondence in Sumerian and Akkadian, and a Sumerian agricultural manual. 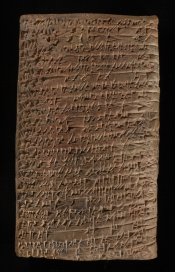 Of special interest is the oeuvre of the first author in history whose work can be identified: a princess called Enheduanna, whose passionate poetry, composed over 4200 years ago, was first discovered and edited in the Collection. Left to right: Old Babylonian Gilgamesh (YBC 2178); Old Babylonian recipes (YBC 4644); (above) Old Babylonian mathematical text (YBC 7289); (below) Old Babylonian Enheduanna hymn (YBC 7169).